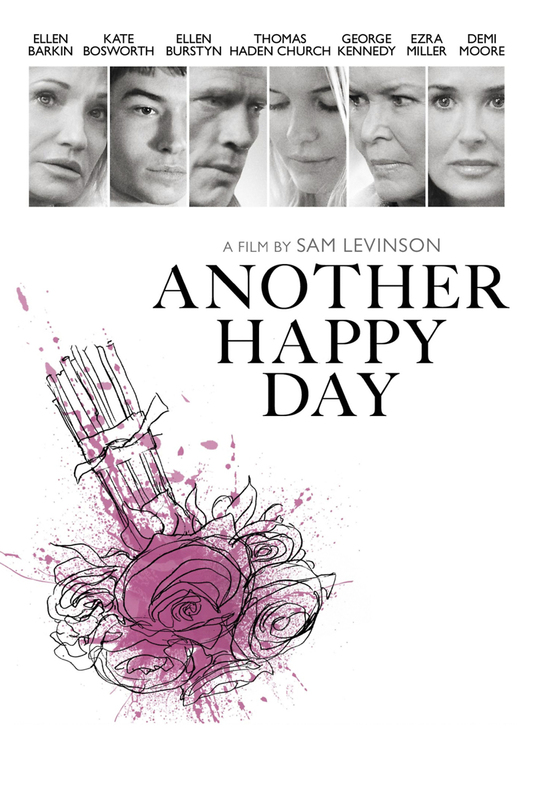 Another Happy Day DVD release date was set for January 24, 2012. When Lynn arrives at her parents' Annapolis estate for a wedding, she's not sure she's ready for the emotional baggage to get unpacked. Years before when she divorced her husband Paul, Lynn took custody of daughter Alice while Paul took charge of son Dylan. She shows up for Dylan's wedding with Alice and younger sons Elliot and Ben, all toting emotional wreckage as well. In addition, Lynn deals with Paul's second wife Patty, who has a temper, and her mother Doris, who blames Lynn for all the family's problems. When her children's destructive behaviors surface at the wedding, Lynn simply struggles to make it through the day without becoming completely unravelled herself. Though she desires a degree of reconciliation and resolution with her family, getting those two things proves difficult.